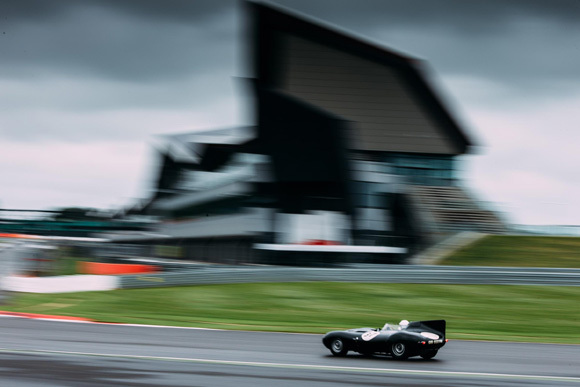 The duo of Julian Thomas and Calum Lockie took their second consecutive race victory in the Jaguar Classic Challenge by a mere two-tenths of a second in the International Trophy at Silverstone over the weekend. 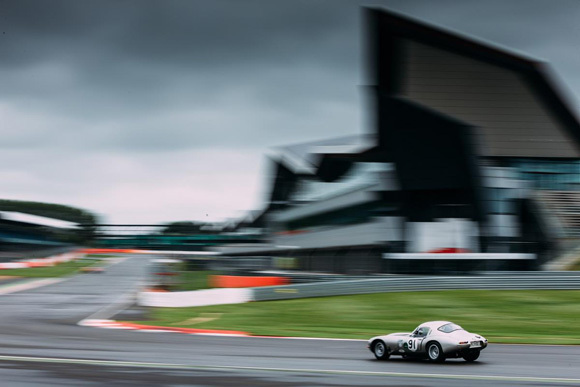 After the morning’s qualifying session, Thomas and Lockie were in a strong position ahead of the afternoon race and put their low drag Jaguar E-type on pole – their second of the 2016 campaign. 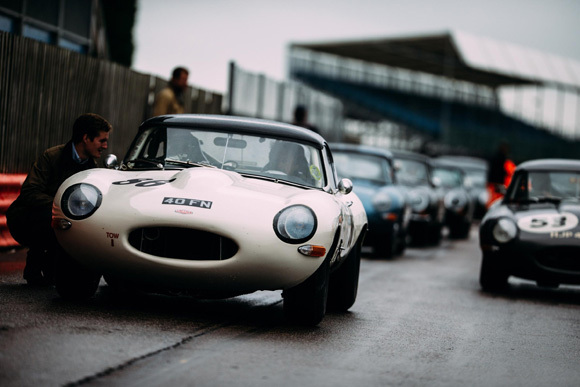 Just like the last round at Donington, adverse weather added an extra dose of complexity to the race. From the green light, Lockie surged ahead closely followed by Robert Dickinson, Martin Stretton and John Pearson. 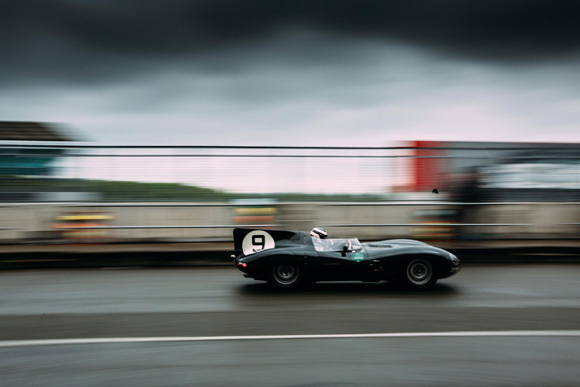 The lead changed hands on several occasions throughout the first stint before the compulsory one-minute driver change/pit stop. Once Lockie swapped with Thomas after 20 minutes, the duo has maintained their lead out front and were setting the pace with the other front runners of Martin Stretton and John Pearson. With the lead changing hands on many occasions and coming into the final lap, it was anybody’s. 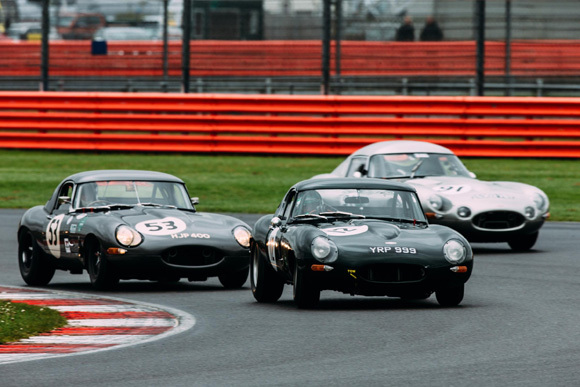 Coming into Luffield, Thomas made his move for the lead and dived on the inside of Stretton and Pearson. Exiting the corner, Thomas had the momentum and pipped Stretton by only 0.265 seconds to take a second consecutive victory. 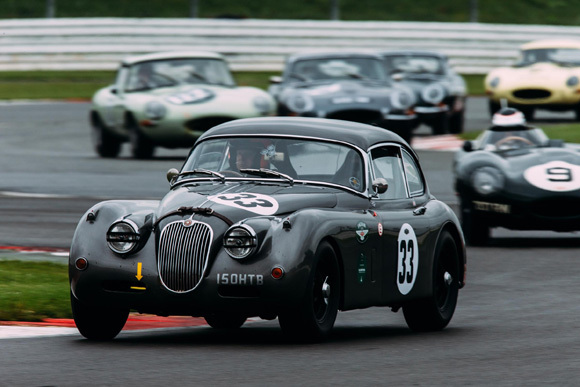 Taking his second consecutive class victory was Marc Gordon in his XK150, followed by Paul Kennelly in an XK150S and the pairing of Chris and Claire Keith-Lucas in their XK150, and rounding out the podium in Class A. 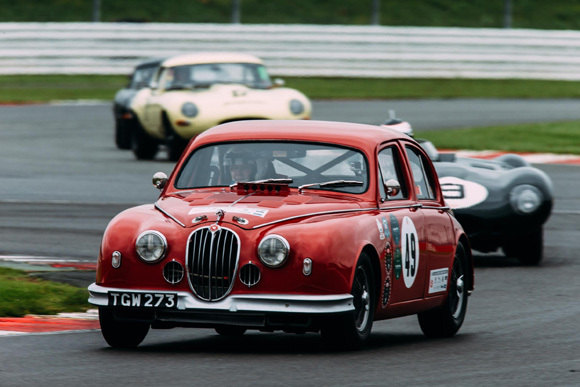 Both Mk1s in Class B unfortunately did not finish the race as a combination of mechanical problems and a slippery track curtailed proceedings for the entrants. 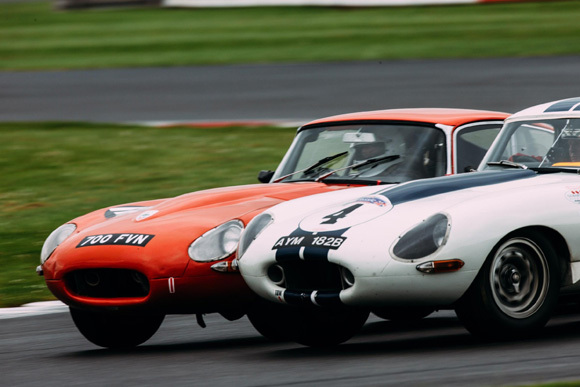 Class C meanwhile went to Gary Pearson in his Jaguar D-type, who also finished fourth overall amongst the E-types at the front of the field. 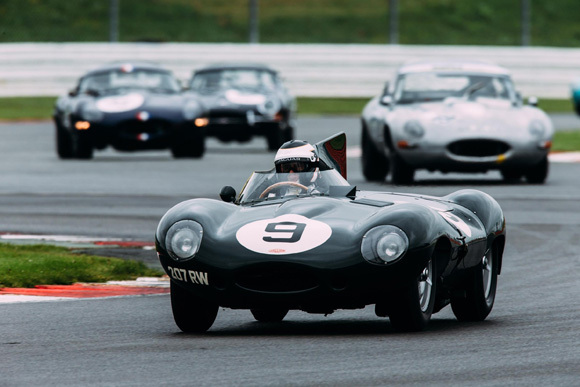 Benjamin Eastick, also in a D-type was runner-up in the class. 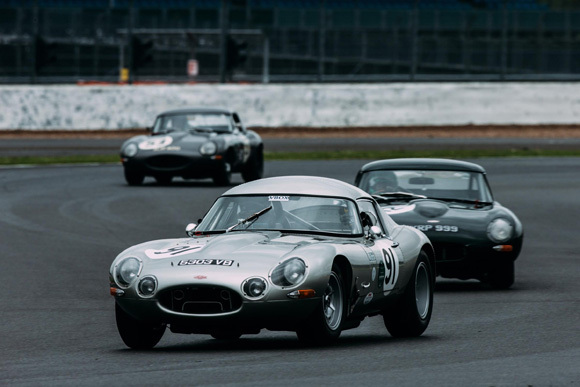 John Burton crossed the line first in Class D in his E-type while John Harper and Michael Quinn finished second and third respectively. For his last-lap heroics, Julian Thomas was awarded Driver of the Day. 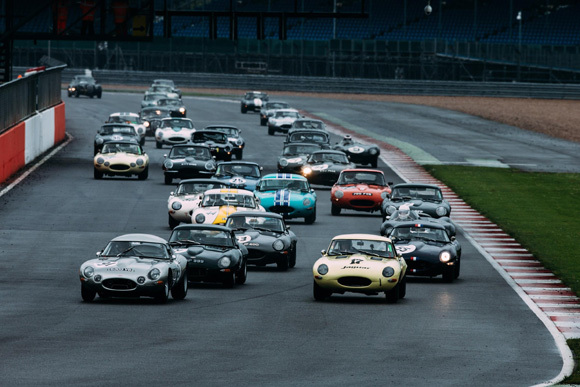 The next round of the Jaguar Classic Challenge now moves to Europe from 8-10 July at the world-famous Le Mans Classic.